On February the 6th, the jury of Millesima Blog Awards 2017 rendered its verdict. This year, the winners of the competition are Rob Frisch, Daniel Ercsey, Lisa Denning, Chiara Bassi, Jeff Burrows and Agnes Nemeth. 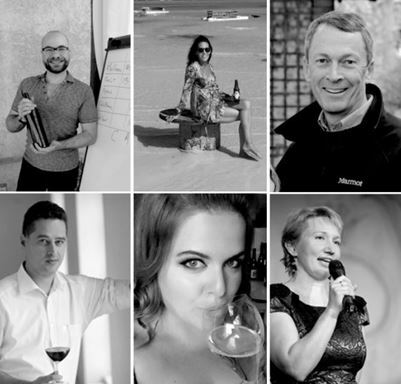 As a reminder, the MBA is a competition organized for the exceptional community of wine bloggers around the world. 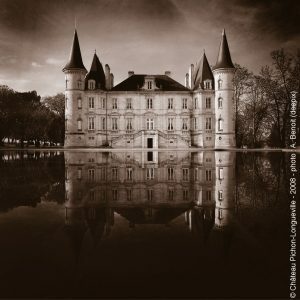 This year, Millesima has partnered with Château Pichon Baron to provide the prizes for the winners. But what will be the program of their fabulous week (April 1st to 7th) in Bordeaux? After their arrival in Bordeaux on Saturday afternoon, our bloggers will be spend the evening at one of the most prestigious hotels of Bordeaux: the InterContinental – Le Grand Hôtel. The following day, they will have a guided tour of the beautiful city of Bordeaux and they will visit the new Cité du Vin. On Sunday evening, a gala dinner and prize ceremony will take place in our famous cellars in the heart of Bordeaux. Throughout the rest of the week, the bloggers will spend their time visiting and tasting at the prestigious châteaux of the area, with our partner Chateau Pichon Baron, before finally leaving on Friday morning. The completion saw winners of three nationalities: three Americans (Rob Frisch, Lisa Denning and Jeff Burrows, top row left to right), two Hungarians (Daniel Ercsey and Agnes Nemeth, lower row on the left and on the right) and one Italian (Chiara Bassi, lower row centre). With a passion for the wines and spirits world, Rob Frisch is known thanks to his blog “Odd Bacchus.” Lisa Denning, writes about gastronomy and wine on her blog “The Wine Chief.” On “Food Wine Click!” Jeff Burrows writes articles on food and wine pairings. Daniel Ercsey is co-founder and editor-in-chief of “WineSofa,” an editorial platform run by international experts of the wine world. Chiara Bassi with her blog “Perlage Suite” brings a fresh, young, and educational view to the world of the wine. Lastly, Agnes Nemeth, with “Hungarian Wines,” has created the first English language website about Hungarian wines. For more details about our six winners, view their full biographies here!